WOW, 1 ACRE of land, a remodeled two story home, a pool & a nice quiet street! Spread out on this great piece of land, build a workshop, or bring your boat/rv & trucks. Not only is the acreage fantastic but the entire home has been extensively renovated. This 3 bedroom, 2 and a half bathroom home features a bonus room that would be great for a home office or 4th bedroom, vaulted ceilings, a wet bar, indoor laundry and a large living room complete with a cozy stone fireplace. The kitchen reflects new granite counter-tops, new cabinets & stainless-steel appliances, both bathrooms and half bath have been renovated, and new flooring throughout. The home also has a fresh coat of interior/exterior paint, new tile and carpeting, new baseboards & interior doors and much more. Exterior features include a large detached 2 car garage with a second floor, giving you tons of storage space or an area that would be a perfect for a man cave or recreation room. 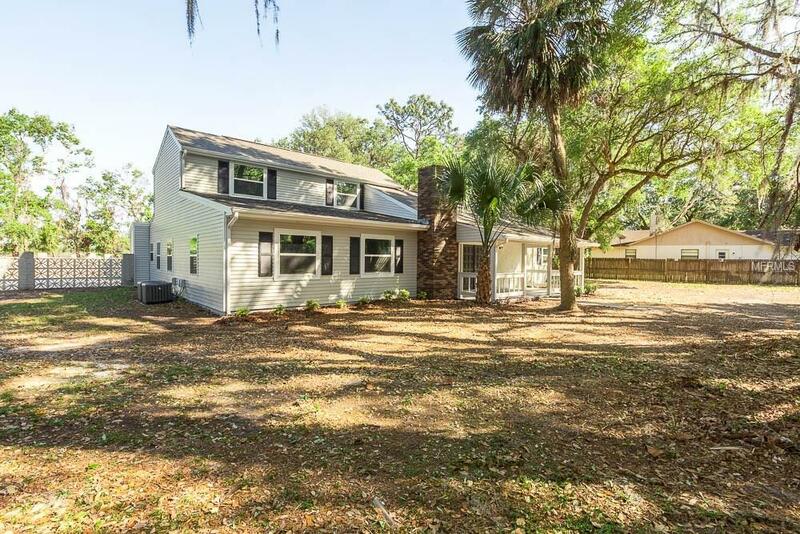 In addition, it has a 2 car carport, a pool with a nice size pool deck, a partially fenced-in yard and gorgeous oak trees throughout the property. This home has everything you could want & still offers room for expansion. This great property will not last long. USDA eligible area, call for details! Storage shed sold AS IS.